We are one of the best wildlife tour operators in Mumbai, India. Along with other national parks, we offer special Pench National Park tour packages. 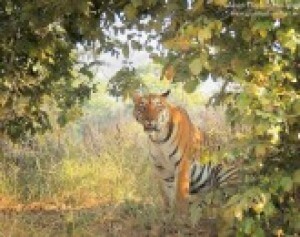 Pench is also renowned Tiger reserve and famous for Bengal Tigers. The Pench National Park Tour Packages is designed only for those who love to laze around in the bonafide wilderness of Indian Wildlife Sanctuaries. The Pench National Park is spread across an area of 292.8 sq. km, and within this cover it regally embraces diverse wild fauna species, counting the majestic predators; the big cats- tigers and leopards. Our Pench National Park Tour Packages endow a complete wildlife experience along with engaging adventure activities. Despite being aware from city luxuries, it is a great fun to experience the raw nature, rustic culture of wildlife resorts and not to forget the mesmerizing opportunity to sight wild animals in their natural behavior. 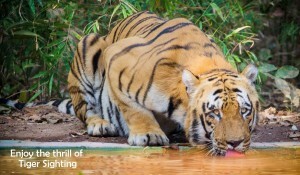 So, if you also desire for a sheer glimpse of the most majestic predator in the world, let us make your wish come true by our exclusive Pench National Park Tour Packages.